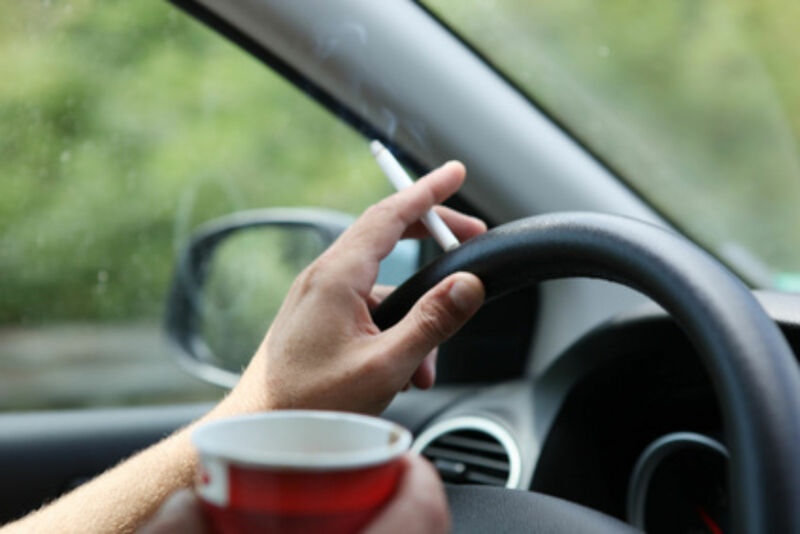 Health campaigners have welcomed news that smoking in a car whilst carrying under-18s as passengers is to be banned when new legislation comes into effect later this year. The law, which applies to drivers in England and Wales, will be enforced with an on-the-spot fine of £50. The new ban, which was approved by both the English and Welsh Parliaments, officially begins on 1st October 2015. Campaigners have, for many years, been lobbying government to increase the reach of the blanket smoking ban in enclosed public spaces by banning smoking in cars carrying young people, who are at increased risk from the dangers of passive smoking due to their faster breathing and smaller, less-developed lungs. Chief Executive of the British Lung Foundation (BLF), Dr Penny Woods, was “absolutely delighted” that MPs had voted overwhelmingly in favour of the ban, coming together with much cross-party support. Statistics from the BLF show that around 185,000 young people aged 11-15 years are exposed to secondhand smoke in the family vehicle on most days of the week. Chief Medical Officer, Professor Dame Sally Davies, hailed the ban as a “significant victory” in the battle to protect young people from the risks of passive smoking, caused by the carcinogenic chemicals such as formaldehyde and arsenic present in cigarette smoke. She noted that many children feel unwilling or unable to ask adults to stop smoking while they are in a vehicle and therefore “welcomed the legislation to end smoking in cars when they are present”. As the very core of our business at Baby Mattresses Online is the comfort, support and nurturing of babies and children, we of course also welcome the ban on smoking in cars. Our young people are the future and we believe in giving them the very best start in life. Give your child health, happiness and a good night’s sleep with our quality collection of custom baby mattresses, nursing cushions and other nursery items.